BW32 RIFA Rewinder Machine for Normal Package is new model for rewinding. You can rewinding for all kinds of bobbin and meet many kinds of requirement. Rewinding machine is managed via a control terminal installed in the headstock control cabinet. Various process parameters required by the bobbin production can be set via controlling the terminal. All parameters are monitored continuously through the control terminal. and the state of spindle location and error message are displayed. It has the digital winding function, and all process parameters influencing the bobbin forming, density control, winding form and package form can be set in accordance with specific parameterization program. BW32 precise rewinding machine is managed via a control terminal installed in the headstock control cabinet. 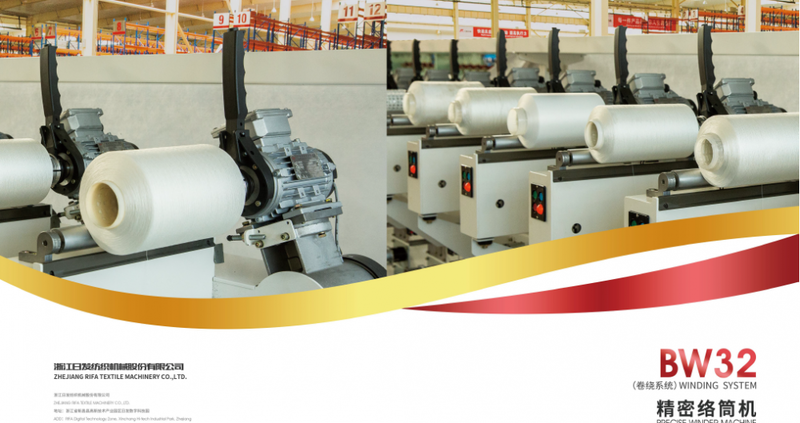 Various process parameters required by the bobbin production can be set via controlling the terminal. All parameters are monitored continuously through the control terminal. and the state of spindle location and error message are displayed. Looking for ideal RIFA Rewinder Machine for Normal Package Manufacturer & supplier ? We have a wide selection at great prices to help you get creative. All the Rewinder Machine for Soft Package are quality guaranteed. We are China Origin Factory of Rewinder Machine for Tight Package. If you have any question, please feel free to contact us.